Want to hear what Slack is saying about Eletype? Check out the rest here. What a great writeup from our friends at Slack! 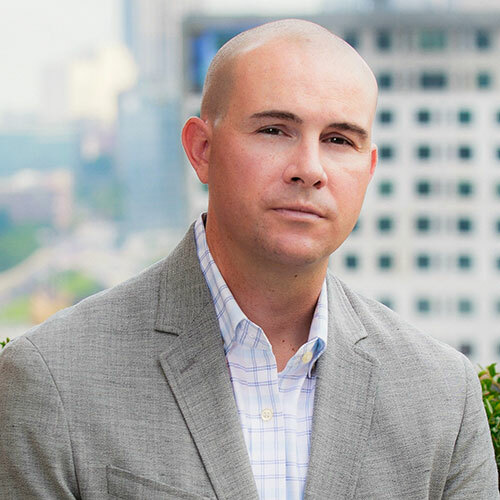 People are taking notice, Eletype is defining what digital marketing monitoring can look like. Leveraging collaborative platforms like Slack will turn marketing intelligence into marketing action. Campaign Monitoring to cover all of your daily campaign checks. Don’t get caught off guard by sudden changes in key metrics. We will let you know if there is anything that requires attention directly in dedicated Slack channels. Learn more here: Facebook Monitoring and Google Ads Monitoring. Could there be a more mundane task than checking marketing metrics every day? Not only is this not a great use of your employees time, but it’s prone to mistakes. Combing Slack with digital marketing monitor not only automates the works, but it removes campaign silos and replaces them with team channels so things don’t get missed. Want to know what else we are working on? Check out our updates page here. Or install it to your Slack workspace today! 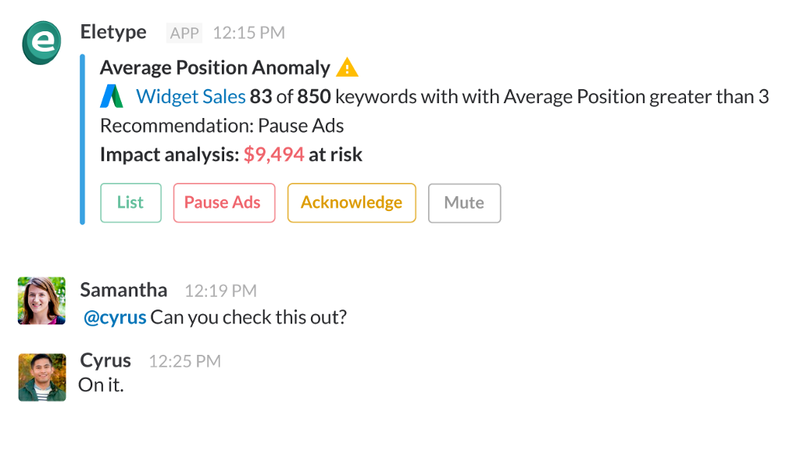 Monitor Marketing Campaigns in Slack was originally published in Cover Your Ads on Medium, where people are continuing the conversation by highlighting and responding to this story.